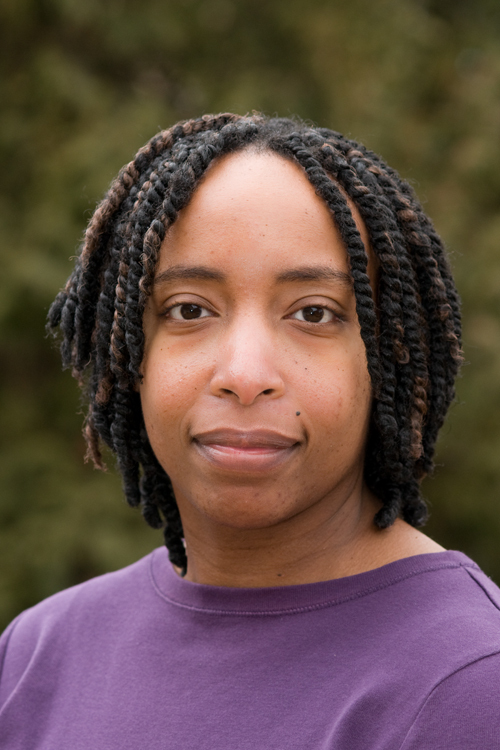 Dyan Watson joined the Rethinking Schools team as an editorial associate last year. You’ve probably noticed her wonderful articles in the magazine: “What Do You Mean When You Say Urban” (fall 2011) and “A Message from a Black Mom to Her Son” (spring 2012). What you may not realize is that she co-edited our new publication, Rethinking Elementary Education. We thought you might like to know a little more about Dyan, who is an assistant professor in the Graduate School of Education and Counseling at Lewis & Clark College in Portland, Oregon. Q: How did you get involved with Rethinking Schools? someone who wanted to participate in making the positive difference in others’ lives that Linda, Bill, and Rethinking Schools has made in mine—it was an easy choice. Q: How have you felt about being on the editorial board? My writing and ability to give meaningful feedback have improved tremendously. Listening to others critique and praise the submissions makes me a better writer and a more compassionate reviewer. This spills over into the classroom as I provide feedback to my students. I often feel my brain growing. Q: Which articles in Rethinking Elementary Education would you especially recommend to teacher educators? I think that a teacher ed program preparing elementary teachers couldn’t go wrong with any of the pieces. Taken as a whole, Rethinking Elementary Education is a powerful work that helps teachers think deeply about the impact they have on kids’ lives. Q: How did you come to write “A Letter from a Black Mom to Her Son”? Why do you think it has resonated so strongly with parents and teachers nationally? I didn’t think we had enough pieces in Rethinking Elementary Education that addressed race. After some discussion, the co-editors of the book decided I needed to write a piece since this is my area of research. I tried to put what I’ve learned in laymen’s terms, but it was boring and flat. The piece started with a story from my childhood, and that’s what captured the other editors’ interest. as it is to either of them or any of our collective children. I think the letter resonated with folks because of the Trayvon Martin murder. Even though it was written before this tragedy, the message in the letter and the experiences described are not unique to me or a small group of people. Folks from all over the country have written me to express their gratitude and how it summed up what they felt. For many folks of color, my letter is their letter. Many white teachers and folks who work with them want all teachers to be better than the majority of the teachers I describe. As one principal told me, they struggle with how to broach the subject and, fortunately, my letter to Caleb helps. Posted on June 5, 2012 by Rethinking Schools	This entry was posted in Uncategorized and tagged dyan watson, education, race, racism, rethinking elementary education, rethinking schools, social justice, urban. Bookmark the permalink.